The Punjab government has approved the enhanced cash awards under the new Sports Policy-2018, thereby increasing the prize money for medal winners of the prestigious tournaments like Olympics, Asian Games, and Commonwealth Games. Under the new policy, the cash prize of the gold medal winners in Olympic/Paralympic Games has been enhanced to Rs. 2.25 crore while the silver and bronze medal winners would get Rs. 1.5 crore and Rs. 1 crore respectively. The gold, silver and bronze medalists of the Asian Games/Para Asian Games will now get Rs. 1 crore, Rs. 75 lakh and Rs. 50 lakh respectively. As regarding the Commonwealth Games/Para Commonwealth Games, the gold, silver and bronze medal winners would get Rs. 75 lakh, Rs. 50 lakh and Rs. 40 lakh respectively while those winning gold, silver and bronze medals at the World Cup championships would be richer by Rs. 80 lakh, Rs. 55 lakh and Rs. 45 lakh respectively. The gold, silver and bronze medal winners of the World University Games/Championships would get Rs. 7 lakh, Rs. 5 lakh and Rs. 3 lakh respectively. For the gold, silver and bronze medal winners of the SAF Games/Afro Asian Games the prize money has been increased to Rs. 5 lakh, Rs. 3 lakh and Rs. 2 lakh respectively. Similarly, the National/Para National Games gold, silver and bronze winners would get Rs. 5 lakh, Rs. 3 lakh and Rs. 2 lakh, respectively. Those bagging the gold, silver and bronze medals at the All India Inter University level, National School Games/Khelo India School Games, National Women Sports Festival/National level Khelo India tournaments would get a respective amount of Rs. 50,000, Rs. 30,000 and Rs. 20,000. Winners of gold, silver and bronze at the Senior National Championships organazed by National Sports Bodies (once in a year) would get Rs. 40,000, Rs.20,000 and Rs. 15,000 respectively. Keeping with the parameters of this newly-introduced policy, the state government had announced that the medal winners of the 2018 Asian Games and 2018 Commonwealth Games, along with their coaches, would be felicitated with enhanced prize money in a grand way on October 11. 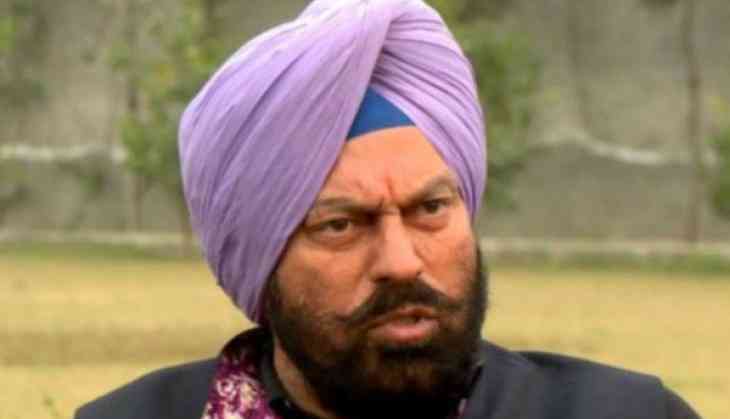 Outlining other key aspects of the policy, Punjab sports minister Rana Gurmit Singh Sodhi said that sporting disciplines have been categorised into High Potential Games (in which Punjab players have huge potential to bag medals) and the Potential Games (Improving specific skills of the players). The games identified under the High Potential Games include Basketball, Volleyball, Boxing, Shooting, Judo, Weightlifting, Chess, Table Tennis, Athletics, Swimming, Badminton, Cycling, Rowing, Hockey, Gymnastics, Football and Kabaddi. The Potential Games category would include Lawn Tennis, Archery, Handball, Softball, Fencing, Skating, Waterpolo, Wushu, Gatka and Kho-Kho. Listing more fine characteristics of the policy, the minister stated that the backlog of the previous years, pertaining to the Maharaja Ranjit Singh Awards would be cleared. He also said that 814 players would be honoured in November this year. He further added that the players based on their achievements would be appointed to the posts in the police department, Tehsildar in the Revenue Department, ETOs, and PCS. The minister also said that every year in the month of January, he would seek the status of vacancies in various departments where the sports quota is 3 per cent. He also disclosed that if a player is not able to get a job in any other department then he/she would get the job in Sports Department at a salary of Rs. 25000 per month with 10 per cent annual increase. Among other significant features of the sports policy spelt out by the minister included automatic selection of the Arjuna Awardee and Padma Awardee players for the Maharaja Ranjit Singh Awards, creation of green fields in the rural belts with the assistance of the Rural Development Department, collaboration with the education department for a games period of one hour, a Sports Science University at Patiala, strengthening of the stadiums and other infrastructure besides insurance for the players.